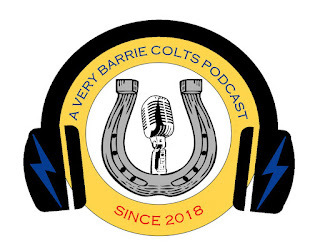 A Very Barrie Colts Podcast - Depth Chart and Attendance at BMC. S1E2 #OHL - Very Barrie Colts | A website covering the Barrie Colts of the OHL. Join Ryan Noble and Ryan McArthur on the second episode of A Very Barrie Colts Podcast! On this episode, we take a look at the depth chart for the 2018-19 season and look at attendance, and how the team can improve attendance following a struggling season for fan support. Enjoy! You can listen below, on iTunes and on Google Play! Remember, use the code AVBCP10 to get 10% off your order at ProStockHockey.com, the largest online selection of real pro stock hockey equipment. Offer ends on August 23rd, so don’t wait. Pro Stock Hockey – if the pros don’t use it, they don’t sell it.